Knuth: So to summarize, an algorithm must terminate. Cartoonist: Wait a minute Dr. Knuth, the web keeps changing, so PageRank has to keep going, right? They can't let it just terminate. Knuth: They keep redoing it, but it does terminate each time. It's like a comic strip. There is an ongoing series but each day's comic strip needs its own punch line. Cartoonist: I'm not sure I get that. 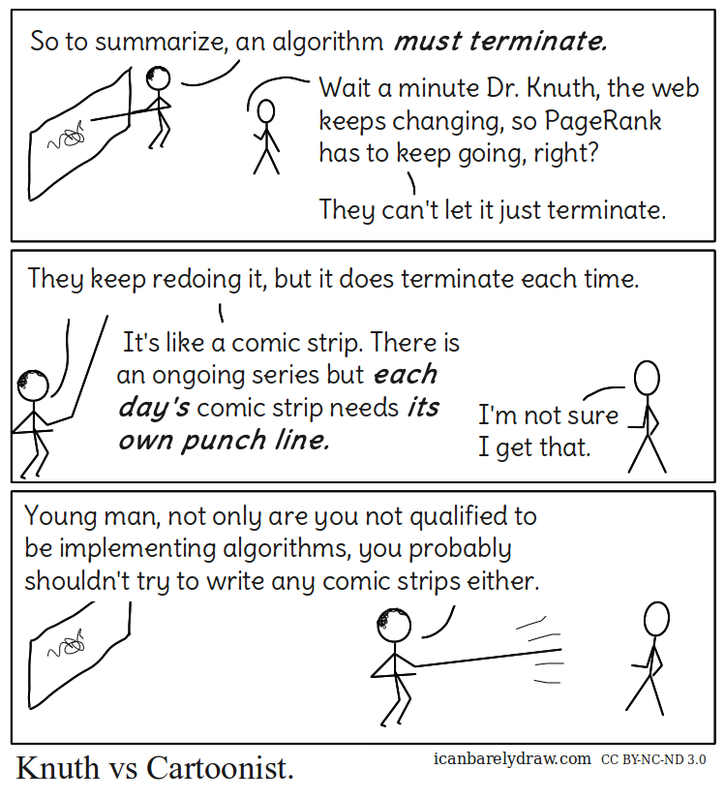 Knuth: Young man, not only are you not qualified to be implementing algorithms, you probably shouldn't try to write any comic strips either.